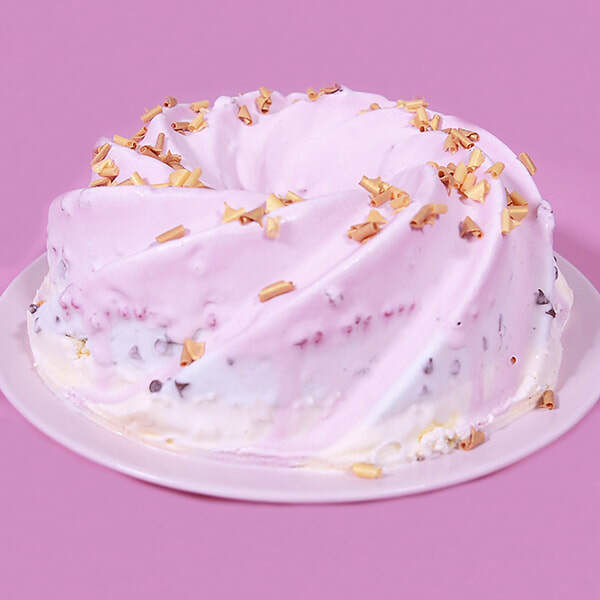 Scoop strawberry ice cream into the bundt tin. Add raspberry pieces from Cake Angels Sweetie Pie Sprinkles. Add mint chocolate chip ice cream as the second layer. Take it out of the freezer. 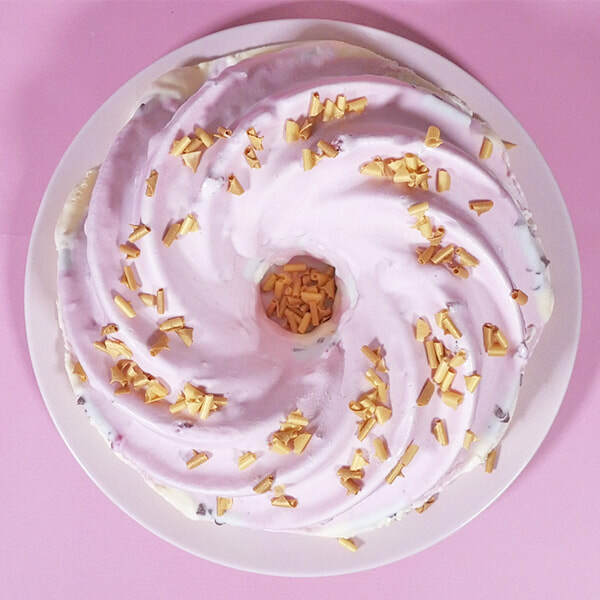 To ensure the ice cream dessert comes out of the tin as easily as possible, dip it into warm water for 5 seconds at a time to ease it out. Decorate with the gold chocolate curls from Cake Angels Sweetie Pie Sprinkles. Decorate with the gold curls from Cake Angels Sweetie Pie Sprinkles. Energy 476 kcal, Fat 17g, of which saturates 9.3g. Carbohydrates 78g, of which sugars 76g. Fibre 0.2g. Protein 2.6g. Salt 0.1g.